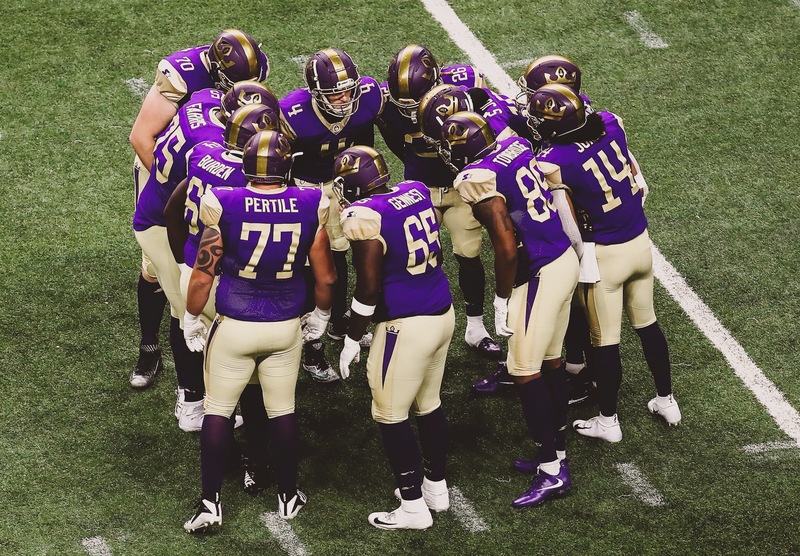 SAN ANTONIO — The Atlanta Legends finalized their opening-day roster on Wednesday afternoon, trimming down to 52 players in advance for the season opener at the Orlando Apollos on February 9 on CBS. And the Legends team that takes the field at Spectrum Stadium will have plenty of Georgia flavor — and no shortage of experience. The receiving group is stacked with talent ranging from Malachi Jones (Appalachian State; Roswell, Ga.) to Montay Crockett (Georgia Southern). The defense has linebackers Jeff Luc and Brandon Watts (Georgia Tech; Augusta, Ga.) leading the pack. Defensive linemen and fellow Georgia products T.J. Barnes (Georgia Tech) and J.T. Jones (Miami-Ohio; East Atlanta) are key fixtures along the line of scrimmage. In the offensive backfield, the tandem of Denard Robinson and Tarean Folston bolster the rushing attack. The roster also features a lot of local athletes. There are seven players from the Georgia Tech and four from the University of Georgia. The Legends also have two players from Georgia Southern and one from Valdosta State on the roster. In total, there are 19 Georgians on the team, including defensive backs Damian Swann (Atlanta), Corey Griffin (Tyrone) and Quincy Mauger (Marietta). Joining them are players who starred at a Georgia college, including wide receiver Justin Thomas (Georgia Tech) and quarterback Aaron Murray (Georgia). Under center, The Legends have a talented bunch including Murray, Matt Simms, Peter Pujals and Justin Holman. The final decision on roster spots wasn’t easy, with quality players at multiple positions and choices often coming down to best fit. The Legends selected a team that focused on talent and discipline. Coyle noted that he envisions his team to play hard on every snap and feels his final roster embodies that philosophy. The final roster also has solid depth along the skill positions. The Legends field seven receivers and eight cornerbacks. Multiple defensive lineman also made the team, along with three tight ends and four running backs. Coyle emphasized the importance of depth so he can mix and match with his rotations. “We wanted some players that we could roll throughout the game and have them fresh as we go from the first quarter through the fourth quarter,” Coyle said. “We wanted to keep the best players that help us win on the roster,” Coyle added. J.T. Jones believes the Legends have just that, and is proud to be on the field with such a talented group of players. A detailed look at the roster is available at https://aaf.com/atlanta-legends/roster. Atlanta Legends home games will be played at Georgia State Stadium. Fans can purchase All Five home games starting at just $75 at http://www.atlantalegends.com or by calling 470-798-3330. Jaylon Thompson covers the Atlanta Legends for The Alliance of American Football. Follow him on Twitter @JaylonThompson.